Kris Perry and Sandy Stier have been together since 1997 and are the parents of four boys. Perry is executive director of the First Five Years Fund, a national organization that helps America achieve better results in education, health and economic productivity. She holds a B.A. from the University of California, Santa Cruz and a M.S.W. from San Francisco State University. Stier is the director of information systems for the Alameda County Health Care Services Agency. Originally from Iowa, she holds a B.B.A. from the University of Iowa and an M.P.A. from Golden Gate University. 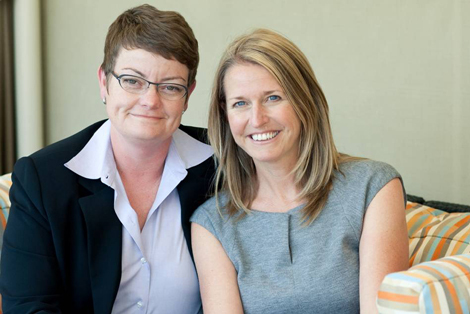 Perry and Stier first tried to marry in 2004, after San Francisco began issuing licenses to gay and lesbian couples. 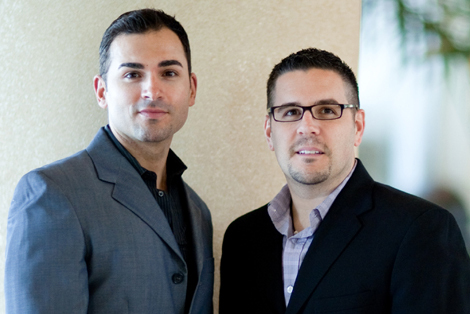 Paul Katami and Jeff Zarrillo have been together since 1998. Katami is a fitness expert and small business owner who graduated from Santa Clara University before receiving his graduate degree from University of California, Los Angeles. Zarrillo is the general manager of a theater exhibition company. A native of New Jersey, Zarrillo graduated from Montclair State University. Having wanted to marry each other since 2008, they considered options including traveling to other states for a civil union, but felt any alternative fell short of marriage. They live in Burbank, California. On June 28, 2013, Paul and Jeff were married at Los Angeles City Hall by Mayor Antonio Villariagosa.